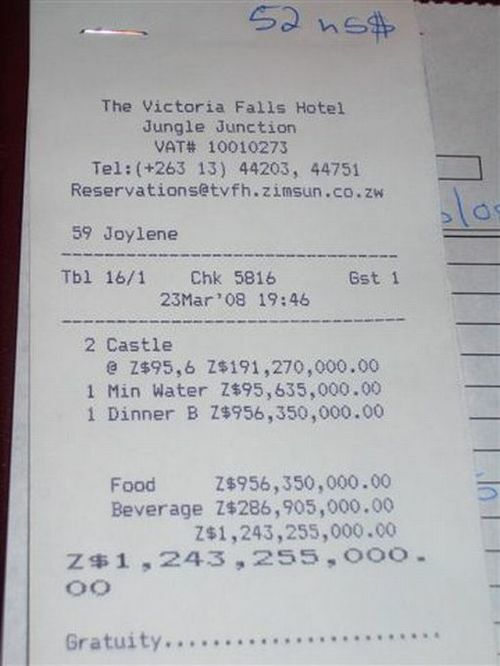 Fortunately for the Mugabe regime, Core Inflation remains contained . . .
How wide are the petrol pumps to accommodate the necessary digits?